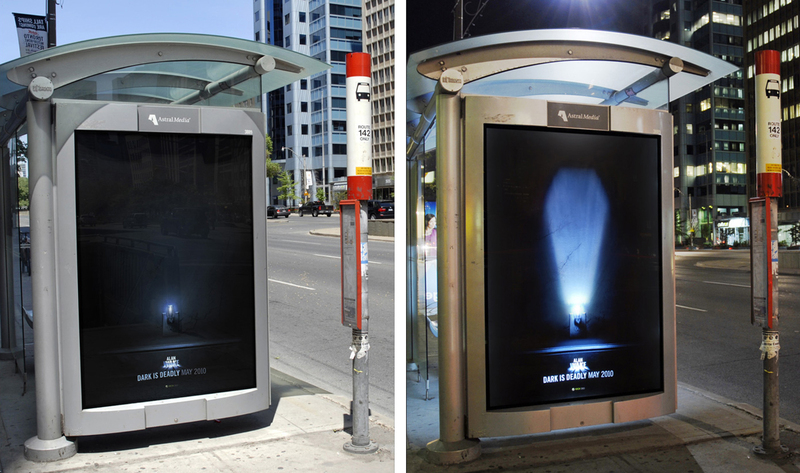 Microsoft Canada launched Alan Wake, the psychological action thriller Xbox 360 game by Remedy, with “Dark is Deadly”, an out-of-home advertising campaign. 3D installations, super boards, murals, TSAs and wild postings in Toronto were used to portray darkness as the enemy, with light as the only source of hope for survival. 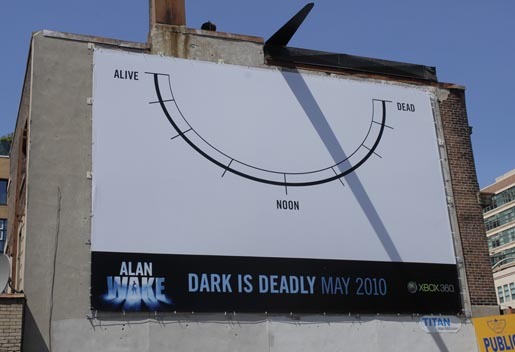 A 3D nightlight mural located at King and Spadina projected a coffin shaped glow at night, while a sundial super-board at Church and Dundas told people the time of day in a peculiar manner. 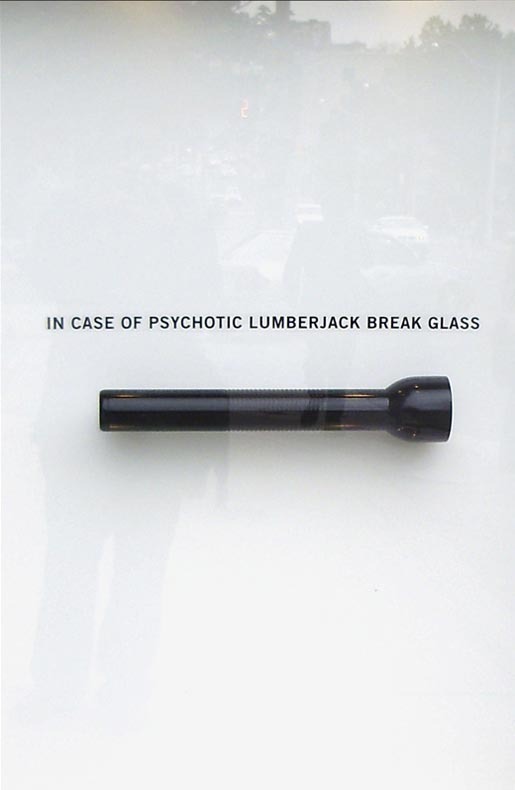 A series of TSA and wild postings produced by Milan-based LSD photographers compliment the special installations. 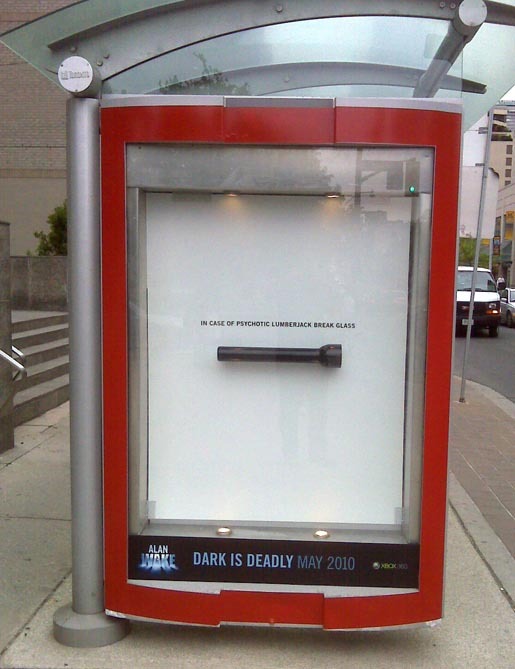 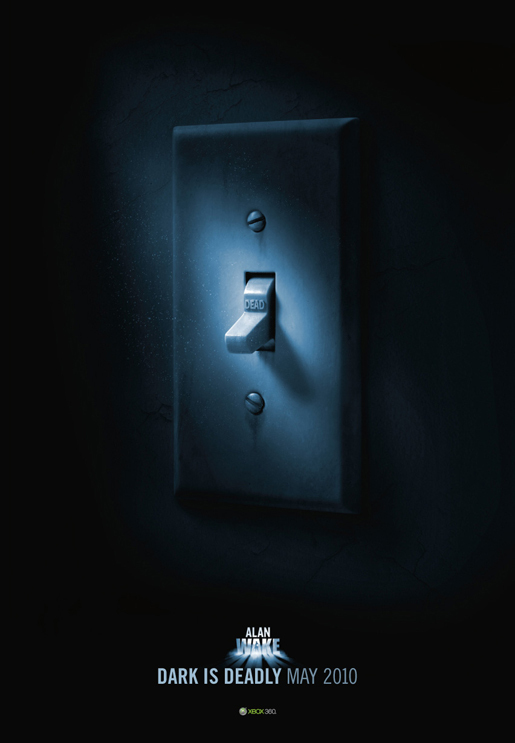 The Dark is Deadly campaign was developed at MacLaren McCann, Toronto, by creative directors Sean Davison, Scott Couture, Gary Lennox, art director Arron Isaac, copywriter Natalie Greenspan. 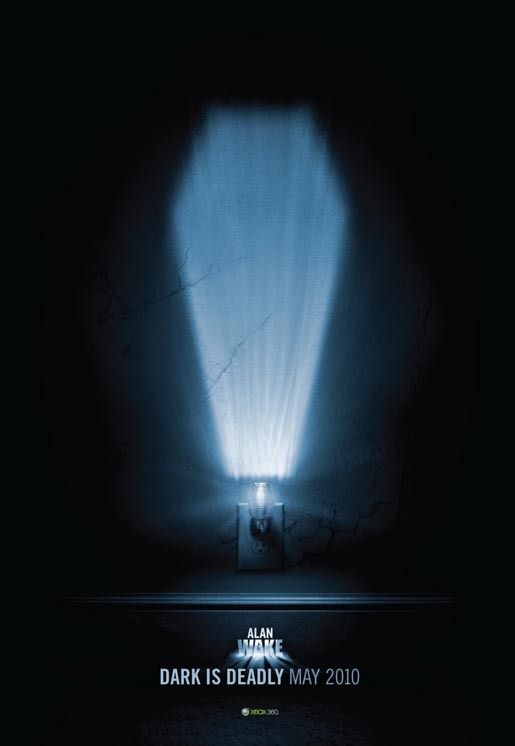 Photography and illustration was by LSD Photographers with illustration done by LSD/JP Goulet Group. Media was bought by M2 Universal.